Whilst we may not be travelling to work in Jetsons-style flying cars anytime soon, vehicle technology is developing at an increasingly rapid rate and, as a result, business transport is set to change dramatically over the coming years. Indeed, this transformation has already started and we believe firms of all sizes, including small and medium sized enterprises (SMEs), must keep a close eye on future developments to ensure they don’t get left behind. Autonomous vehicles are no longer a sci-fi fantasy. 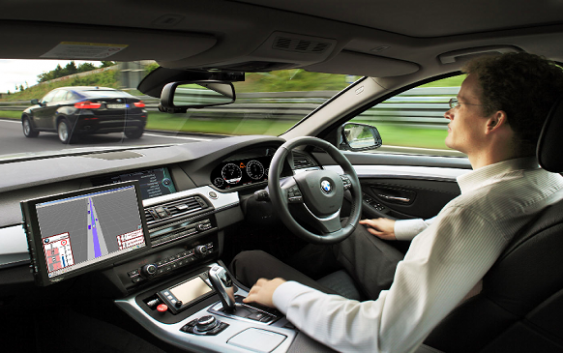 The Driven consortium are currently working on a project, backed by £8.6m of Government funding, that will see autonomous vehicles travelling between London and Oxford by 2019. The same technology is being used by the business world with online supermarket Ocado trialling deliveries with driverless vans. While this technology may not be relevant for all types of businesses, it will alter the landscape of how firms meet customer delivery needs. We know that consumers already demand the delivery of goods and services within a 24 hour timeframe – how will driverless transport change this? For example, if there is no need for rest stops, will an eight hour delivery window become the new expectation for businesses to meet? While driverless vehicles will not be appropriate for many firms, at least not in the early stages of the technology’s development, what is clear is that the types of vehicles businesses use will change. The Government has confirmed that it will end the sale of all new conventional petrol and diesel vehicles by 2040 in a bid to tackle air pollution. Motor manufacturers are investing heavily in electric vehicles and the number of charging points are being increased in preparation. Alternatively fuelled vehicles are becoming increasing popular with the latest figures from SMMT showing that demand for petrol hybrid and pure electric powered cars increased by 74.9% and 62.5% respectively in August 2017, compared to the same month last year. This trend is set to filter through to commercial vehicles. If all goes to plan, we should see electric taxis on the road in the capital later this year, Royal Mail is starting to trial electric vans of varying sizes and we will see other businesses follow suit. While the current cost of electric vehicles may be prohibitive right now, over time the price should reduce and the technology will become more accessible to smaller companies. Therefore SMEs, especially those that rely on employees being ‘on the road’ or provide delivery services, should look ahead to determine what vehicle updates they should invest in that will keep them on track for years to come, seeking professional advice wherever necessary. Investment in business transport can help fuel expansion. According to our recent UK SME Savings Tracker research, despite the uncertain economic and political environment, firms are still identifying opportunities for growth with a third (34%) of those increasing the amount in savings accounts stating that they were accruing cash to save for a major purchase, compared to 17% last year. Technological and regulatory changes should not deter SMEs from investing in assets to support future growth. We believe small business owners who are looking to invest in a vehicle should focus on partnering with brokers and lenders who can give them the key to the best asset finance deal. SMEs may be unsure when to invest in future transport, however it is something that businesses must start to consider seriously as this could help drive increased efficiency and safety in the longer term.